I was watching a video on healthy grocery shopping and the guide mentioned coconut water and a healthy beverage. I was intrigued by this because I had never tried coconut water. 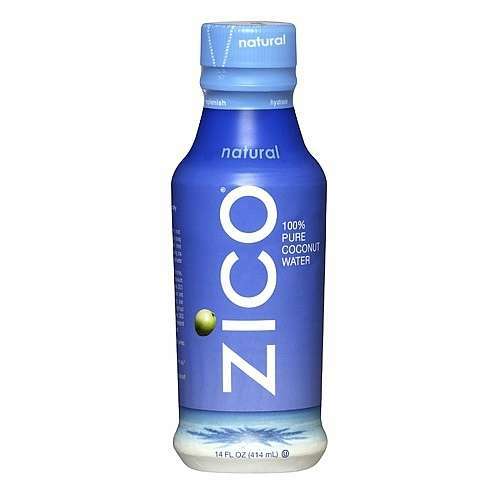 So I did some research and found there are 3 main brands: Zico, Vitacoco, and O.N.E. I went shopping and found Zico at the local Dominicks. The regular price was $2.49 for a 14oz bottle. It was on sale for $1.99. Still pretty expensive for one bottle but that is the going rate. So I just got it home and tried it. It was not at all what I expected. I thought it would be refreshing like reviews said; It wasn't. I thought it would be sweet like a coconut; Not at all. To describe the taste, it has like a grain taste. The best I can describe it is if you took Cheerios and mixed them into water, and then drank the water. Not good. I could only take a few more sips and then I just had to toss it. I don't know if any other brands would taste any different, but I'm not going to buy anymore coconut water. It is expensive and does not taste good. I'll stick with regular water and fruit juice for now. The point of drinking coconut water is that it's a natural hydrator. It's loaded with eletrolytes. I have about 20 bottles around. I only drink it occasionally though. When I think I need it. It's too expensive to drink as regular bottled water. And I don't drink it for the taste either.